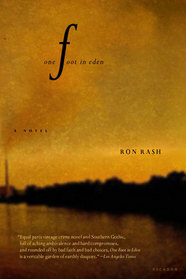 Ron Rash is the recipient of an O. Henry Prize and the James Still Award from the Fellowship of Southern Writers. 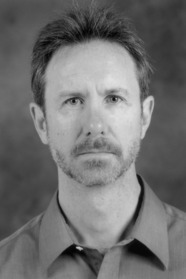 Rash holds the John Parris Chair in Appalachian Studies at Western Carolina University and is the author of the novels One Foot in Eden, Saints at the River, and The World Made Straight (winner of the Sir Walter Raleigh Award), and the story collection Chemistry and Other Stories. He lives in Clemson, South Carolina. 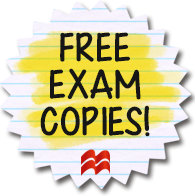 This entry was posted in American Experience, Fiction and tagged 2016, Fiction, novel, one foot in eden, ron rash on 09/15/2015 by macmillanacademic. The people of a small South Carolina town are thrown into the national spotlight when a twelve-year-old girl drowns in the Tamassee River and her body is trapped in a deep eddy. The girl’s parents want to rescue the body, while environmentalists believe the rescue will cause permanent damage to the river and set a dangerous precedent. Maggie, a newspaper photographer who was raised in the town and has been sent to cover the story, finds herself revisiting the past she’s fought hard to leave behind. 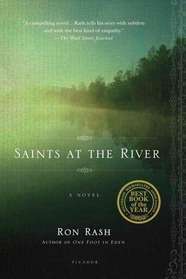 This entry was posted in American Experience, Fiction, Planet Earth and tagged 2016, environment, Fiction, green, novel, ron rash, saints at the river on 09/15/2015 by macmillanacademic.